“I no longer feel self-conscious about my smile. It's life changing!" ~Natalia S.
“The results are excellent - I now have a million dollar smile. In fact, I would recommend this to anyone.” ~Bo B. “I would tell anyone considering implants to speak with Dr. B and her team. Dr. B goes above and beyond for her patients and it’s evident in each one of our smiles.” ~Carol B.
Dr. B is a great choice!” ~Jerold W.
"Thanks to Dr. B and Invisalign, my smile looks and feels incredible. “The whole experience at Dental Arts of Orange County was just wonderful. I love my smile" ~Miriam O. “I no longer avoid sharing my smile with anyone, thanks to Dr. B and her team! I would recommend them to anyone looking to love their smile all over again.” ~Norma C.
and she’s definitely worth the trip!” ~Oksana P.
“You don’t feel like you’re at the dentist. You feel like you’re at the spa.” ~Stephanie C.
"Creating the Ultimate Dental Experience"
Dental Arts of Orange County, located in Florida, New York, provides patients with comprehensive and effective oral care through innovative and advanced techniques. Dr. Lesia Batorfalvy and Tatianna Powzaniuk lead a highly qualified team at Dental Arts of Orange County, who all work to ensure that treatments are carefully selected and tailored to each patient. Dr. Sid Tucker is the in-house periodontist at Dental Arts of Orange County and ensures that his patients receive the best preventive and surgical treatments that dentistry can offer. During each appointment, the providers at Dental Arts of Orange County speak with their patients to learn more about their condition and overall oral health. They recognize the importance of a strong, sincere doctor-patient relationship, and believe this bond can help patients live a healthier and happier life through proper diagnoses and treatments. Call or schedule an appointment online with Dr. Batorfalvy, Dr. Tucker, and the team at Dental Arts of Orange County for your general, family, and cosmetic dentistry needs. "Could not have had a better experience. Friendly staff, beautiful office!" "We love the treatment and the care that Dr. Batorfalvy and her staff provide." "I can honestly say she is painless and patient. She knows what she is doing." Dr. Batorfalvy accepts most insurance plans, including Cigna, Delta, Guardian, Aetna, MetLife, Empire, and Blue Cross/Blue Shield. We will process your insurance and take the assignment of benefit. Patients pay their estimated balance at the time of their visit. We also offer our own in-house dental savings plan. 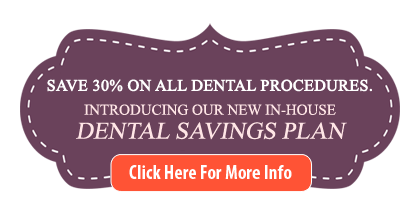 Please see our Dental Savings Plan page for more information. We accept VISA, MasterCard, Discover, American Express, Cash, Checks, and Care Credit. "The dentist is gentle, caring and professional. I'm so happy that I found Dental Arts of Orange County!" "The place was packed, yet it was so pleasant you didn't really have to feel like you were being rushed. An experience I will never forget and I can't wait to go back." "Office is very clean and has a spa feel to it. I struggle with panic and she makes me feel so comfortable." "Very nice staff. Love the pampering you get as a bonus. I would recommend this dentist in a heartbeat."